Do you remember…? – Partition of India – What's on Politics? One might wonder, why this topic? With the recent election results and a Mr Narendra Modi on the rise, the events shaping the Independence and making a partition of India and Pakistan inevitable, are getting a new flavor. Narendra Modi, known as Hindu nationalist and supposedly involved in the bloody riots of Gujarat in 2002, is the most auspicious candidate for the general elections taking place in India early summer 2014. What India needs is a man who doesn’t fear difficult decisions, but what is even more important is, that these decisions favor not only a portion of the population. In order to illustrate what nationalism can accomplish, revising the actions resulting in partition are more important than ever. The very first steps on the road to partition were set in 1875, when Dayanand Saraswati founded the so-called Arya Samaj. He intended to kick off a new Hindu movement. Based on the philosophy of the Vedas, he wanted to establish a landmark against the missionary work of the Christians at that time and emphasize the importance of Hinduism. He and his fellows promoted cross-caste marriages and even denied the caste system at all. This movement became so successful that after years it became obvious that the Hindu religion was the most influential on the subcontinent, which approximately in the 1880s resulted in the claim of the Arja Samaj to implement Hindi as the national language of India. Via this movement the Hindus gained more confidence towards the British government and due to their dissatisfaction with the colonial politics, the National Congress of India (1885) as the first Indian political party was born. In order to gain a respectable voice towards the Congress Party, Aga Khan Sultan Mohammad Shah established the All-India Muslim League in 1907. In a line with the party he achieved a separate voting system for the different religious groups (Hindus, Muslims and Sikhs). At this point of them there was no significant religious nationalisms, but the two parties already started propaganda via violent revolts in order to strengthen their positions. Yet, not as severe as it was supposed to happen years later. The next cornerstone on the road to partition was the gruesome Jallianwala Bagh Massacre in 1919. Mahatma Gandhi motivated civilians for a peaceful demonstration against the British government close to the Golden Temple in Amritsar. As a sign of the crumbling power of the Colonial rulers, the only way they saw to escape the evolving dissatisfaction, was by killing the demonstrators. In this massacre and the following riots approximately 1.200 men, women and children were killed and about 3.600 were severely injured. On August 8th, 1942, Gandhi pushed the enraged civilians (urban and rural) to attack offical government buildings and express the claim for the British to immediately leave the country. 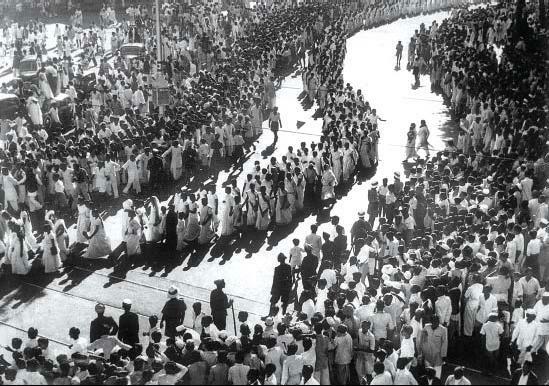 This act of demonstration was the so-called “Quit India Resolution”. The Muslims hardly participated in this movement, as the leader Mohammad Ali Jinnah in 1940 asserted that Muslims and Hindus must not belong to the same country and therefore demanded for their own country “Pakistan”. At this point of time, partition was still a vague idea and not manifested in future decision-making. The following developing of the two religions departing, was also partly encouraged by the British rulers. They never handled India as a country with various cultures, religions and languages; they stamped it as a country of two distinct cultural groups. In the beginning they even fawned over Mohammad Ali Jinnah, as he was the more cooperative leader of the two parties and the British’ key to weaken the arising National Congress Party. In the following years the All-India Muslim League cumulated a large population in Punjab and Bengal and therefore gained about 76% of all Muslim votes. Thus, in the general elections of 1946 they missed the majority in Punjab. As a counter-reaction the Congress and other small parties joined for a Anti-League-Coalition and ignited rage among the Muslim population. The bloody result was the “Direct Action Day” massacre, initiated by the Muslim League, in Calcutta on August 16th, 1946, where thousands of Hindus were murdered. Debilitated by World War II, the Colonial rulers still didn’t take action to appease the tensions, but the idea of a bifurcated country got more and more into shape. With a deadline to give independence to India by the year of 1948, the new governor Lord Mountbutton came into power. But even he noticed pretty soon that managing the current circumstances ran out of his hands and was forlorn hope. That’s when the British decided to advance the Independence Act by one year. This didn’t leave much time for preparations to secure a stable acquisition for the upcoming government. Hence, they asigned the task to devide the country according to religious majorities to the British administration officer, Sir Cyril Redcliff, who had never set a foot on the Indian subcontinent before and was not acustomed with the religious circumstances in the country. Thus, the result was rather favoring anyone. 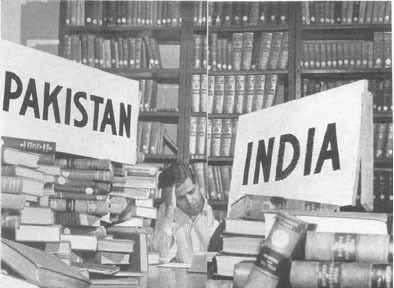 On August 15,1947 India was then declared a free country, but the official partition statement was published on 17th. 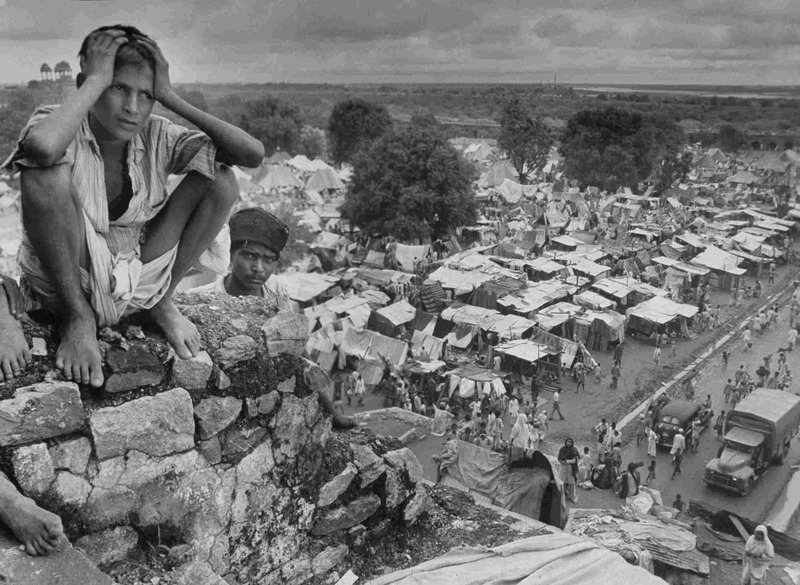 This kicked off one of the largest migration movements in history, when over night millions of people were fleeing from Pakistan to India. The new government and organizations tried to build makeshift refugee homes in order to support the masses of homeless people. But still this instability caused a slew of riots in which approximately 1 million people lost their lives. Even that after partition both religious majorities had their own countries, the problems were not erased. All the main industries and big cities with economic power were still remaining in India. Furthermore, because East&West Pakistan only accumulated 23% of land, they also only received 17.5% of colonial governmental financial reserves. In case of Pakistan that meant, that after paying the army, there was literally no penny left for economic development. A political issue that still didn’t get solved was the state of Kashmir. The British forgot to assign Kashmir to either one of the countries and in line with this decision kicked off years of constant tension between the countries and created one of the most disruptive borders of modern history. Even the riots didn’t end after partition. In 1992, a group of Hindu militants attacked a Muslim mosque in the holy city of Ayodhya, which is said to be Lord Ram’s birthplace, in order to use this place for a Hindu temple. It is said, that in former times at exactly the place were the mosque was build, has been a Hindu temple which should be re-stored. The answer of Muslims radicals had to be awaited for 10 years, when on February 27, 2002 a train with 58 Hindu pilgrims coming from Ayodhya was set on fire. This concurrently was the trigger for one of the bloodiest riots happening in India. In 2002 about 790 Muslims and 254 Hindus got killed in the riots of Gujarat. 2500 got injured and 223 were missing. To bring this down to the introduction and the current state of political and religious tensions in India. Narendra Modi is a suspected to have been involved in the riots back in 2002. He might be a man of strong decisions, with a sense for economic development and foreign investment; but what will all this help, if he cannot manage to unite a country that is naturally diverse? India needs a strong leader, but one who finally finds a way to push a nation in its whole beauty, with its united population, with a sense of national patriotism.